With the royal nuptials nearly upon us, news has been announced that Prince Harry will spend his last night as a singleton at EPR’s Coworth Park in Ascot. The Prince will be joined by his brother and best man the Duke of Cambridge before the wedding at St George’s Chapel in the grounds of Windsor Castle. The 70-room hotel has been extensively restored into luxurious and energy-efficient hospitality accommodation arranged across the main house and estate buildings comprising a fine dining restaurant, bar, events and conferencing spaces, and subsequently a luxury eco-spa and the Equestrian Centre and Guards Polo Club. Appointed as Architect and Contract Administrator, sustainability was placed at the heart of our design, restoring the whole estate to its former glory and implementing a quintessentially English interior throughout. 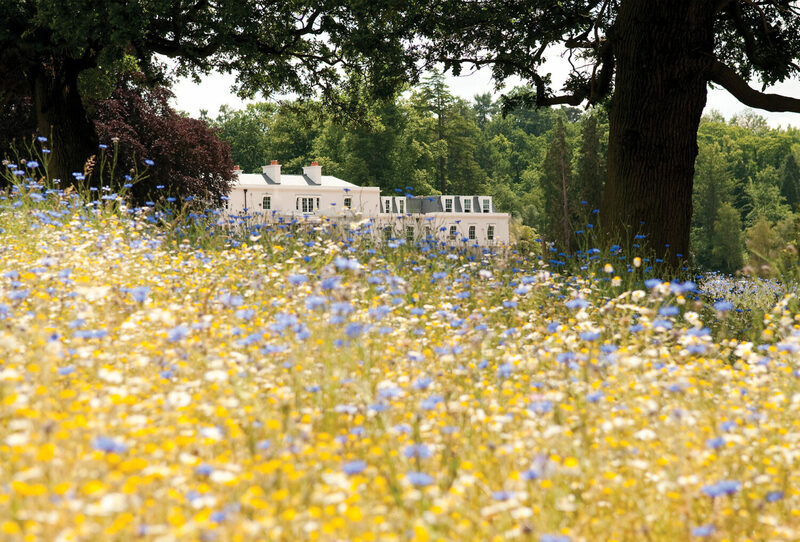 Surrounded by 240 acres of idyllic parkland on the borders of the historic Windsor Great Park, the hotel provides an escape from the paparazzi, whilst a wildflower meadow in front of the house offers the perfect place for a calming stroll to soothe any pre-wedding jitters! EPR wish Meghan and Harry all the best on their big day.